To celebrate the unveiling of Peninsula Hot Spring’s highly anticipated Bath House Amphitheatre, Mkt. invited media and influencers to join us on the Mornington Peninsula on Sunday the 29th of July. A night of relaxation, the event featured live music, entertainment, talks, tours, wellbeing experiences, food, drinks and of course, geothermal bathing. The impressive new expansion features an Australian first ‘Fire and Ice’ experience which includes a -10°C ice cave, -25°C deep freeze and two saunas that provide a unique take on the hot/cold therapy phenomenon. Guests were the first to experience the amazing benefits of the Fire and Ice cave, with a spectacular fire display completing the night. The guest list included a variety of local and interstate visitors including Alicia Banit, Amy Lee, Beck Jackson, Lorinska Merrington, Amelia Stubbs, Ashleigh Carpenter, Chris Nayna and Bianca O’Neill to name a few. 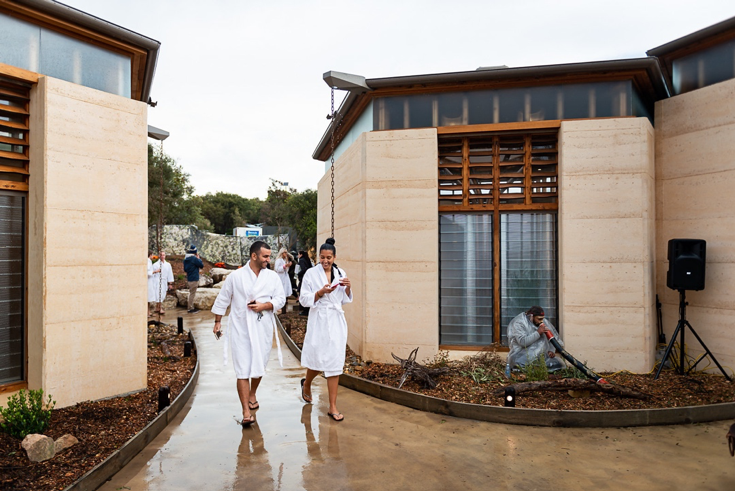 The event also attracted the attention of Channel Nine News, who spoke with Peninsula Hot Springs CEO and Founder, Charles Davidson, on what the expansion means for Victoria’s Mornington Peninsula and received an exclusive look into the exciting new bathing and wellness facilities. You can watch the full interview on Peninsula Hot Spring’s site here.